The nationally recognised Certificate III in Travel will broaden your understanding of the different cultural experiences relevant to the wider functions of the tourism market. The SIT30216 Certificate III in Travel is a nationally recognised qualification that could prepare you for a career as a travel consultant in the domestic or international travel industries. You will undertake a variety of practical tasks within a travel and tourism context, including accessing and interpreting travel product information and providing customer service to clients. You will also learn to make bookings by using the computerised reservation system Galileo CRS, which is used widely in the travel industry. At the end of this travel and tourism course, you should be able to provide destination advice, construct airfares and prepare travel itineraries and quotations. Successful completion of the course could allow you to find employment as a travel consultant or reservation sales agent. The Australian Federation of Travel Agents (AFTA) has appointed Open Colleges as their Preferred Online Training Provider. The AFTA is the peak industry body for the travel industry. 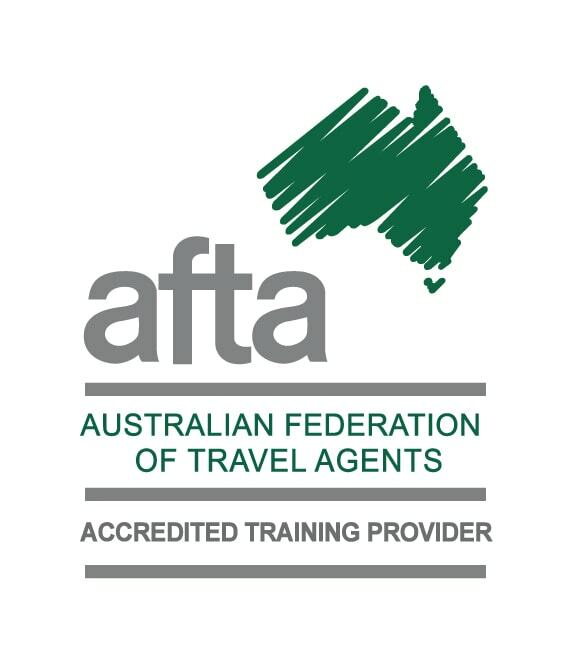 Open Colleges is the only online training provider to receive such an endorsement for travel and tourism courses from the AFTA. If you are below 18 years of age and reside in Western Australia and Northern Territory, there are special requirements which you need to fulfill. Our friendly Enrolment Consultants or Admissions team will be able to guide you further. Develop knowledge of Australian destinations. Update knowledge of Australian destinations. Provide information and advice on specific Australian destinations. Source and use industry information. Source and use compliance information. Source and use information on tourism and travel technology. Update personal and organisational knowledge of the tourism and travel industry. Follow procedures for emergency situations. Participate in organisational WHS practices. Communicate with customers and colleagues from diverse backgrounds. Follow defined organisational standards when delivering service. Provide internal feedback on customer service practices. Calculate costs of products and services. Suggest products that meet customer needs. Provide specific product information and advice. Administer customer file and identify booking requirements. Interpret information required for processing documentation. Access and manipulate system information. Use computer system features to create and administer reservations. Administer sales and operations functions using the system. Create domestic flight itineraries and airfares. Document and maintain records of calculations. Develop knowledge of international destinations. Update knowledge of international destinations. Provide information and advice on specific international destinations. Source information on cruise operations and trends. Develop knowledge of cruise destinations. Develop knowledge of cruise itineraries. Research aspects of on-board ship life. Provide information and advice on cruise options. Update knowledge of cruise destinations and products. Create international flight itineraries and airfares. Interpret promotional international airfare information. Create promotional international flight itineraries and airfares. Your work placement will need to be conducted in an appropriate work place, supervised by a qualified staff member. Have a minimum qualification of Certificate III in Travel, or equivalent. It is highly desirable for the Workplace Supervisor to have some supervisory experience. You will need to secure your own Work Placement; however Open Colleges can provide advice and direction through our Work Placement Support Team. You will need to undertake work placement to successfully complete the units of competency in this course. As such, a Statement of Attainment cannot be issued for part completion of the qualification unless work placement is completed. You may be required to complete work placement in multiple travel agencies if your chosen travel organisation does not provide all of the required services. More information can be found in the Workplace Assessment Guide.